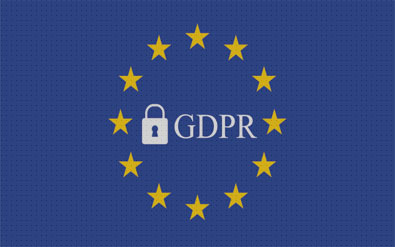 The upcoming enforcement of the General Data Protection Regulation (GDPR) is creating technology requirements, both for the management of data and for acquiring user consent. Two companies have recently announced solutions for the management part: M-Files Corporation and SAS. Based in Finland, M-Files is an information management firm with offices in Dallas and elsewhere. It’s offering a new GDPR packaged entry-level solution as a series of survey, management and assessment templates. It incorporates suggested best practices for managing policies, processes, audits, contracts, risk assessment, plans and privacy statements. The solution can run in the cloud or be installed locally. The client company can use the templates to see, share and categorize its GDPR-relevant information for its own assessment or planning. The client company can also use M-Files’ regular information management software to search or query its customer data for, say, which records have confidential information, or to deliver records to any requesting European Union customer. Previously, Vice President of Product Management Mika Javanainen told me, his company had been offering consulting services to companies that wanted to identify GDPR challenges, after which it might bundle some of its existing point solutions or build a custom one. This work led to the development of the new tool. Currently, M-Files said, its GDPR solution is being used by pilot customers in Europe. Like M-Files, SAS’s GDPR product is for managers, and it doesn’t provide the kind of user consent screens that, say, Janrain’s Consent Lifecycle Management and Evidon’s Universal Consent Platform are offering. SAS GDPR has been selling in Europe for much of the last year, but it is only being formally announced this week. It is offered as a governance layer on top of the regular data management platform from this Cary, North Carolina-based firm. If a client company doesn’t have that platform, it will need to acquire its basic components for the GDPR layer to work. Catch the full article on MarTech!